Wedding season may just be wrapping up, but the holidays are fast approaching—which means 'tis the season for engagements! With that in mind, I teamed up with some friends at Noe's Jewelry to bring you expert tips and tricks to pick the perfect engagement ring! Before jumping headfirst into the 4 Cs—cut, color, clarity, and carat weight—get a sense of what shape of stone your partner-to-be prefers. Shape indicates the geometry of a gem (like round, square, or oval), as opposed to its cut, which is associated with the angles of the facets in a stone. The right combination of shape and setting will enhance the look of your ring, so think carefully about the setting, or metal mounting of your gem. A classic round stone looks modern in a bezel setting, while an oval diamond will look most traditional in a four-pronged setting. While some couples shop together, if your plan is to surprise your partner, consider their lifestyle (Do they wear gloves at work, for example, or need to wash their hands often?) as well as the type of jewelry they already wear when picking a setting. 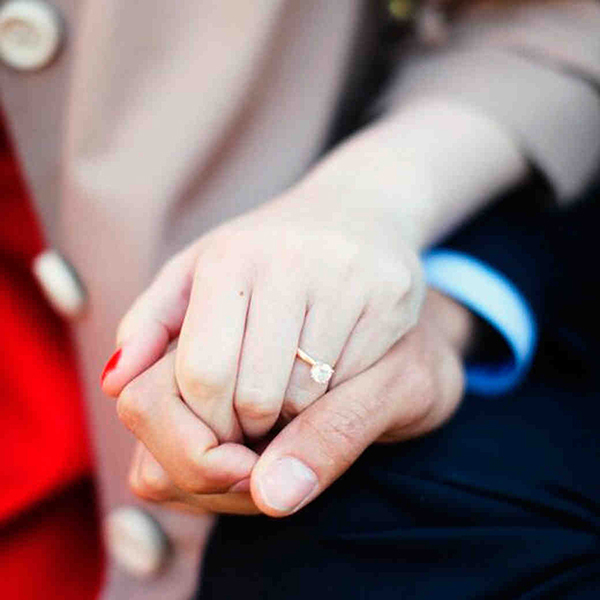 Pay attention to whether your spouse-to-be wears sliver or platinum, or prefers yellow or rose gold. Does their taste tend toward vintage finds or modern styles? Call a bestie or see if you can find a Pinterest page with dream gems if you need more inspiration. When it comes to the band itself, engagement ring jewelers offer rings in several different metals. One of the most popular choices is platinum, a highly durable metal that hypoallergenic and easy on sensitive skin. Gold's also had something of a revival recently, and you can find yellow, rose, white, and even green gold bands (though you should chat with your jeweler about upkeep of these metals, since they are softer and more sensitive than platinum). Another option is palladium, which is grayer in tone than platinum and quite rare. A diamond may be forever, but that doesn't mean you should put yourself in debt to buy one. Choose a ring that matches your budget, and don't be afraid to make your money work for you. Purchasing a stone just shy of the next carat size can reap you a savings of about 20%, and selecting a gem with a slightly bigger table, or surface, can stretch your budget if your fiancée is looking for a bigger stone. When you first choose a ring, you may be looking at loose stones as opposed to mounted diamonds. Because the gem accounts for much of the ring's cost, make sure you inspect it thoroughly and keep an eye out for visible marks, chips, or flaws. Don't forget to do it again once the stone is set. Many thanks to our friends at Noe's Jewelers for their advice, which I hope will help guide you through the purchasing process. And don't forget to have some fun while you're doing it!